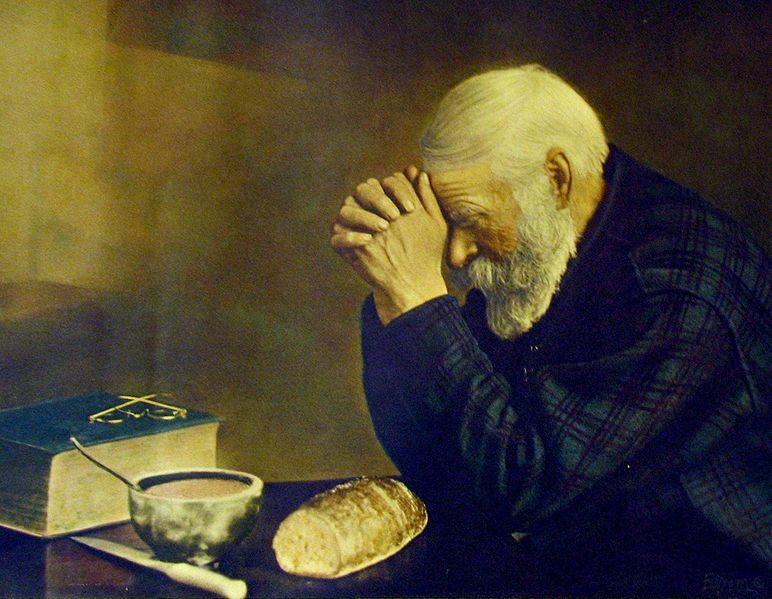 My take on various subjects from the perspective of a conservative Christian. At our staff meeting the other day we were talking about biblical decision-making as opposed to pragmatic decision-making. A biblical decision would be derived from a biblical principle. For example, because the Bible speaks of debt in negative terms (Pro. 22:7) a biblical decision to get out of debt is a biblical derived decision.The person making that decision would then do what they could to not take on new debt as well as paying off the old debt. Another biblical principle in play here is that when you take on debt you make a covenant to pay the debt back. In other words, you give your word to pay back the lender. Your decision is principled. A pragmatic decision regarding getting out of debt would be declaring bankruptcy simply because it’s legal and it works to the person’s advantage. For the Christian a pragmatic decision in this case should be unacceptable simply on the basis of breaking one’s word to pay back a debt. When it comes to politics politicians are more apt to make pragmatic decisions over principled ones. In Wisconsin we used to have a Senator by the name of Russ Feingold. Senator Feingold was a progressive and in my opinion, a far left progressive at that. I don’t think I ever agreed with a single position he took. However, Senator Feingold was a principled progressive. You never had to guess where he stood. I believe, if memory serves me, Senator Feingold was the one and only Senator to vote against the Second Iraq War. His fellow Democrats all voted for it and then when it became less popular voted against it (then Senators Kerry and Clinton in particular). Feingold on the other hand was against it from the start and stood alone. That’s principled and it was something I could respect even though I disagreed. Politicians like Feingold are rare in either party. Too often one is left guessing as to where they actually stand on any given issue. Politics tends to run on pragmatism over principle as campaign promises are comprised and constituents left wondering. On the right side of the aisle I see at least one principled Senator and that would be Senator Cruz of Texas. You do not have to guess where Senator Cruz is coming from. At the time of this writing Senator Cruz is filibustering Obamacare by calling out the President and Senator Harry Reid for their over-the top hypocrisy regarding Obamacare. Sadly, only seven or eight other Republican Senators are standing with Cruz and taking a principled stand. I suspect Senator Cruz will lose this fight but he has my respect for taking a principled stand. And that’s the way I see it. When will they speak up? For the moment it appears that controversy about Syria and poison gas has died down. The ever trust worthy and human rights advocate Vladimir Putin has brokered a deal where by Syria’s chemical weapons will be handed over to Russia and then to the U.N. Yet, in the space of a day or two Islamic terrorists have killed over 60 in a shopping mall in Kenya and murdered 80 Christians in Pakistan. The incidents are notable for the death tolls but it makes one wonder how many other victims of Islamic terror are not noticed because the body count is less. It seems the world does not care all that much. Perhaps if the terrorists use poison gas someone, somewhere will draw a red line and actually enforce it. The more important question is why do the leaders of the religion of peace remain relatively silent about these atrocities? Their silence is deafening leaving one to conclude they either quietly approve or they are scared out of their wits to confront those who kill in the name of Allah. Muslims living in western countries wonder why they are suspect. Perhaps it is their silence that makes them so. Dennis Praeger address this issue in his Townhall Column for today. I don’t agree with Praeger’s view of the gospel but his main point about Muslim leaders remaining silent is spot on. Your email and photo of “J’s” public school 5th grade U.S. Constitution “study guide” has been received. Your concern for its content, particularly regarding the 2nd Amendment, is shared. Before addressing the 2nd Amendment, it is imperative that we understand what I call the “concept of construction” of the Constitution. There seem to be no schools at any level (except, perhaps, Hillsdale College) that teach the text of theConstitution and its concept of construction… Textbooks contain copies of the Constitution, but no teachers “teach” it as thoroughly as the English teachers of days of yore taught Shakespeare. Eleven years ago today my dad and I went fishing. He was retired and I was pastoring a small church in the Milwaukee area. One of the upsides in pastoring that church is that I could see my aging parents once a week. Dad like to shore fish and sometimes he would come to my house which was close to Lake Michigan and we’d head to the lake to wet a line. We never caught anything but that was not the point. It was just good to be with dad and “shoot the baloney” as he would put it. After fishing we’d go to lunch and continue the baloney shooting. There is nothing remarkable about any of this except for the date. It was 9\11\2001. We had finished fishing, again having caught nothing, and got in the car. I turned the radio on and neither of us could believe our ears-a large plane had crashed into one of the twin towers in New York City. Was it an accident, was it a pilot suicide, what the hec just happened were the questions that swirled about in our minds. We arrived at my house and turned on the television. We witnessed the second aircraft crashing into the second tower. The sight of the second plane crashing into the second tower answered our questions. It was not an accident but it was a pilot suicide although not of the type we originally guessed. We surmised, quite rightly, that the US had been attacked by Islamic terrorists. The moment it dawned on us it was no accident and that we’d probably go to war. At this point my dad left to go home to be with my mother. They both had lived through World War 2 and my dad had served at the war’s end. My dad made comments about Pearl Harbor and wanted to be with mom when he shared the news. He also shared concern about his grandson (my son) who was in his early twenties at the time and what it all meant should the US go to war. After then President Bush said that we’d go after the terrorists wherever they might be found as well as the countries that hid them my dad nodded his approval even though it might have meant his grandson could be part of that going after. It was clear cut in dad’s mind and he was not the kind of guy who was inclined to Republican views. Never-the-less, in his mind Bush was absolutely right and never mind that dad didn’t particularly like him. 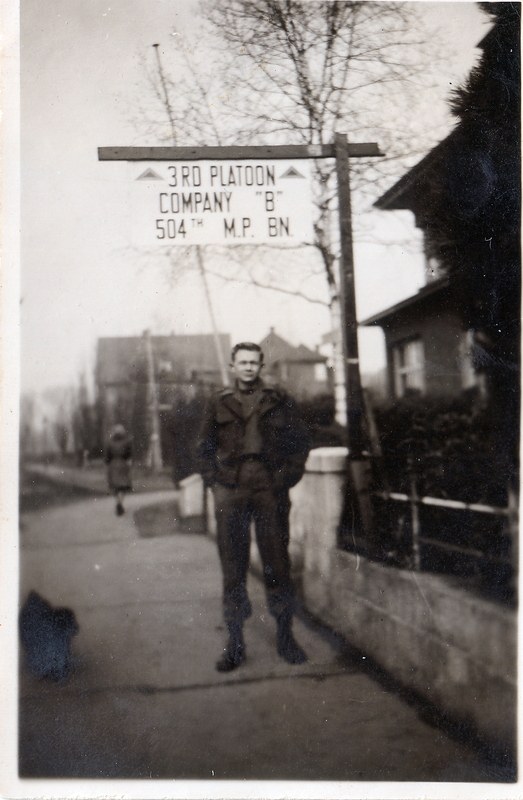 I think dad’s mindset was that of what is now called the “greatest generation.” The generation that lived through the great depression and World War 2 and knew that sometimes a country had to go war even while it most certainly preferred peace. To dad and most of his generation it was simply a matter of right versus wrong, wrong to let Americans die at the hands of terrorists and do nothing. Mom passed away in 2004 and dad in 2006 so neither witnessed the election of President Obama. I doubt they would have voted for him because they were pro-life Catholics and while they leaned Democrat they could not longer tolerate the massacre of a different type of innocent-the unborn. Had my father lived through 9/11/12 I wonder what his reaction would have been to Benghazi and the murder of four Americans by a different set of Islamic terrorists. 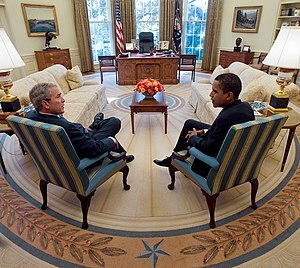 English: President George W. Bush and President-elect Barack Obama meet in the Oval Office of the White House Monday, November 10, 2008. (Photo credit: Wikipedia) Big Difference! The cover-up, the false narrative of what happened and why, the Secretary of State saying, “what difference does it make” and the fact the administration let our people die would have enraged dad. But, we are a different country now. The greatest generation is quickly passing away and along with it a collective ability to judge some things simply as right and wrong and act accordingly. I suspect that dad should he still be alive would more concerned with his grandson and his growing family and what kind of country they are inheriting. My dad, 1946 on duty as MP in occupied Germany. Recently I toured the National Museum of World War One in Kansas City, Missouri. It was a grim reminder that poison gas was first used in the conflict to break the trench warfare stalemate. This link to Wiki shows the interesting and tragic use of poison gas during that war and what it meant in its aftermath. Revulsion to the use of chemical weapons led to a treaty whereby most nations agreed to not use poison gas in a future conflict. Nations could stock pile chemical weapons however and most did. Recently a friend, another biblical counselor told me of a conversation she had with her sister. The sister was venting, being anxious about a great many things and going on and on regarding her feelings in her trials. What is your source of truth? The answer to the question is that one can live their life by how they feel or they can live their life according to truth. The problem is we live in a post-modern world where it is assumed the truth cannot be truly known. Following that logic it makes a certain amount of sense that one can live according to how they feel; after all, it’s truth for them and who are you to say different. 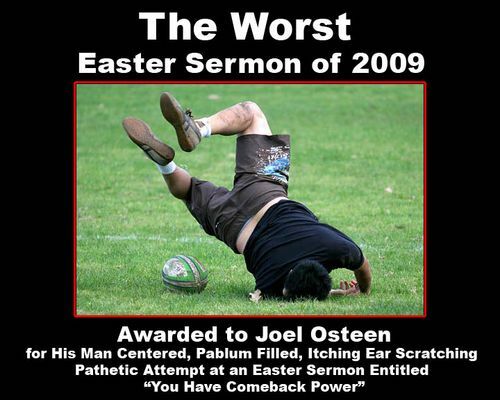 Mr. Olsteen is not the only one just the best bad example. There is nothing in the passage about living life according to how one feels. It is about truth, truth for daily living, truth for eternal salvation, truth for trials. This link will take you an excellent sermon on 2 Tim. 3:16-17. The part about living according to feelings is especially spot on and useful for those who have ears to hear.